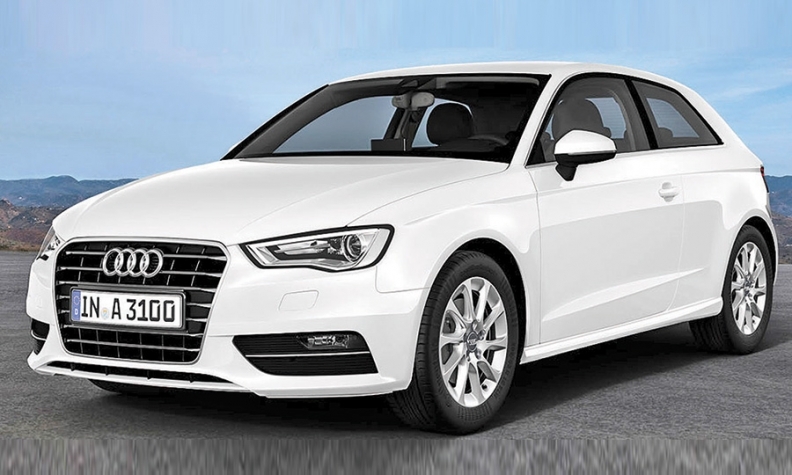 Audi discontinued the A3 sportback at the end of the 2013 model year. NEW YORK -- In its past life as a five-door, the Audi A3 never sold that well in the United States. Audi of America discontinued the "sportback" at the end of the 2013 model year and relaunched the A3 this month as a compact sedan in pursuit of greater sales. But what its buyers lacked in numbers, they made up for with intensity -- and Audi of America wasn't willing to give that up. The German luxury brand announced at the New York auto show that it plans to bring back the five-door body style to the United States with a diesel engine for the 2016 model year. Driving the decision was the intensity of the A3 fan base, Audi of America President Scott Keogh said. "We heard a lot from the sportback people," he said in an interview. "There was definitely a lot of whistling from people saying, 'We want this car.' Sometimes in our decision-making process, we think the passion lever is just as important as the volume lever. And this is a good example of that." Evidence of the A3's cult following can be found on Fourtitude, the Internet forum most popular with Audi owners in the United States. As of Wednesday, April 16, that site had more than 23,000 discussion threads and 341,000 individual posts devoted to the outgoing A3, far more than Audi's current best seller, the Q5 crossover, with roughly 600 threads and 2,800 posts. Forum users mostly cheered news of the A3 sportback's return. One of them posted the company's press release on the forum, vowing to consider "staying with Audi now." Audi hasn't announced pricing for the revived A3 hatchback, but the diesel A3 will compete with entry-level luxury cars such as the Lexus CT, a similar-sized hybrid-only hatchback that starts at $32,960 with shipping. Lexus sold 15,071 of them in 2013 in the United States. Audi sold just 7,205 units of the previous A3 hatch in 2012 in the United States, but hidden in those paltry sales numbers was a sign of diesel's promise. At that time, about 55 percent of buyers were choosing the TDI engine -- far more than the company had projected.